Ford’s most popular car got the hot hatch treatment in 2004, when the Fiesta ST was launched. Now in its third generation, this sharp and slick model continues to impress with its refined engine, re-tuned suspension and lightning-fast responses. Choose from three editions: ST-1, ST-2 and ST-3. Low-slung, poised and with just the right balance of aggression and elegance, the Fiesta ST is a true sport model. Its uniquely shaped grille and matt black band across the lower front end set it apart from its siblings, as do its striking alloy wheels. Sitting close to the ground, it hugs the road for a swifter, more controlled feel, and its gently curved roof and raked windscreen enhance its aerodynamics. A twin exhaust completes its racing appeal, while a selection of bold paint colours ensures it never simply blends in. Step behind the wheel and you’ll find the Fiesta ST’s power isn’t so much ignited as unleashed. A brand new 1.5-litre EcoBoost unit has been fitted, delivering 197bhp and 290Nm of torque. All this propels you from 0-60mph in only 6.5 seconds, while the revised technology incorporates cylinder deactivation, which helps to improve fuel economy for everyday driving. The result is up to 47.1mpg and CO2 emissions as low as 136g/km – highly impressive for a performance car. The Fiesta ST enables you to tune your experience to your mood and the conditions with its three Selectable Driving Modes: Normal, Sport and Track. Each setting subtly alters the model’s set-up to optimise handling and performance, whether you’re driving around town or hitting the track. Whichever mode you’re in, you’ll find the steering precise and the composure incomparable through bends, providing a taut, controlled ride that’s worthy of a racer. 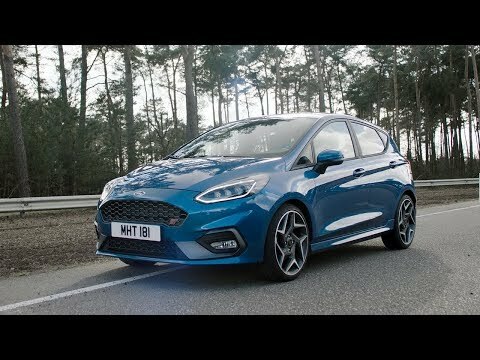 The Ford Fiesta ST may be a performance-focused hatch, but that doesn’t mean you have to settle for less when it comes to technology. Entry level ST-1 models come equipped with a 6.5-inch touchscreen infotainment system, which incorporates Apple CarPlay and Android Auto, Bluetooth connectivity and a USB port, as well as cruise control and keyless start. Safety is also covered with the NCAP pack, which offers up a host of protective features such as Lane-Keeping Aid, a speed limiter and automatic headlights. This comes alongside standard measures like Electronic Stability Control, Traction Control, Hill Start Assist and Emergency Brake Assist. Step up to the ST-2 level model for an eight-inch touchscreen and upgraded sound system, or opt for the top-spec ST-3 if you want in-built satellite navigation and heated front seats. Find out what it means to drive a true performer by booking a test drive in the new Ford Fiesta ST. The teams at our Ellesmere Port and Birkenhead dealerships will be happy to help.